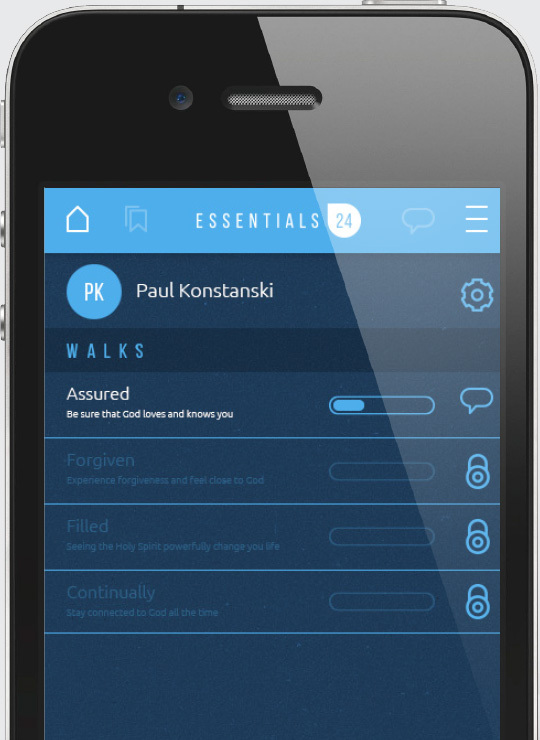 Essentials will help you understand the most important principles for living as a follower of Christ. 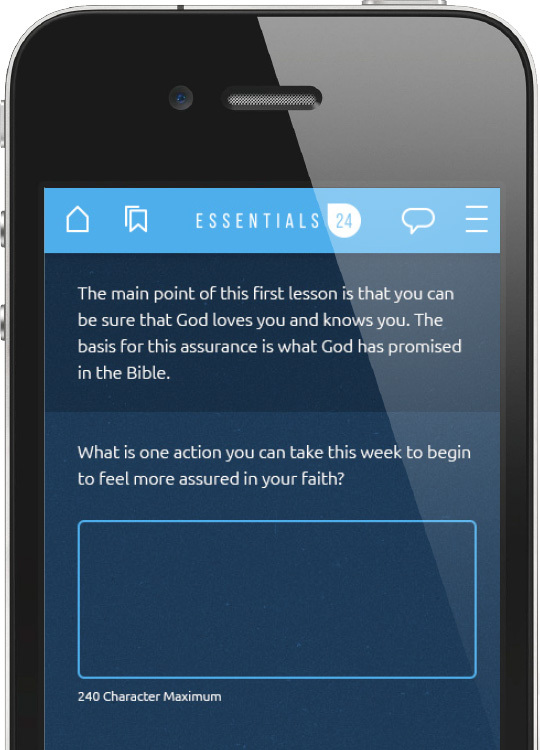 Each lesson begins with a story from the Bible along with a video to illustrate the point. From the starting point of the story, the lesson uses interactive teaching methods to help you understand the Essential ideas. To help insure that you understand the teaching, questions are used to help you dig deeper into what the story means for you. The lesson closes with suggestions for how to take what you learned and apply it in your daily life. Learn on your own or with friends. If you don't want learn on your own, invite a friend or even create a small group. Stay connected: follow each other's progress. Bring a friend and grow together. Create a small group and track each other's progress. Click the image above to watch a 90 second trailer of the Essentials videos. © 2019 Essentials 24. All rights reserved.